Such elaborate orography determines a very varied landscape. The nature presents many different aspects in the coast, where there are rocky cliffs, steep promontory and long sandy beaches, like the one in Versilia. The beautiful beaches in Versilia extend for many kilometers offering every kind of comfort in addition to discotheques, cafes and exclusives restaurants. Viareggio andTorre del Lago are the most important cities of this area. Viareggio, known as the Carnival City, is famous thanks to its huge floats which walk in the seaside promenade during the month of February making this city full of life and fun also in winter. Torre del Lago hosts the house open to public, of the famous composer Giacomo Puccini author of the operas like Tosca, Turandot and La Boheme (www.giacomopuccini.it). Behind the sunny beaches and the art noveau architectures of the elegant city, the majestic presence of the Apuane Alps offers the opportunity for exciting excursions as well as visits to the marble quarries of Carrara, from which comes the precious material very valued for its exceptional pureness. In addition to the marble another excellence of this zone is the shipbuilding that makes the place an active artisan and industrial centre. 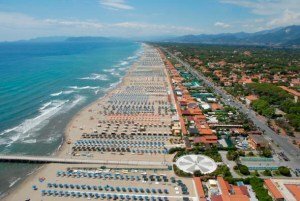 The most elegant town of the Versilia coast is sure as well Forte dei Marmi, exclusive destination for the most wealthy people. From the Versilia you can rapidly reach the mountain lands of Lucchesia which bring you into the greenest nature of Tuscany: Garfagnana.  This territory is more discreet from the near Versilia, but it is loved as well for its natural landscape with peak summits, hiking trails and ancient hamlets enclosed between the Apuane Alps and the Appennines, some of the best in the whole country. This area is ideal for people who love relax and privacy because it is little tourist and surrounded by a lush nature. Near this place there is Lucca, wherein the down town has its original look as witness of a city rich of history, traditions and culture. The icon of the city are the ancient walls of the Renaissance, which extend for 5 Km apx. They are the greatest example in Europe of “modern fortification” of the XVI century, for their artistic and monumental beauty. Beyond the walls visitors are pleasantly surprised by the narrow streets, the charming squares, the towers and the “cento chiese” (the hundred churches). In the end it is important to include the several Villas of Lucca, luxurious historic houses with elegant gardens. Going to the south you get close to Pisa, which, together with Lucca and Florence, is one of the most significant tourist attraction. In the past it was a maritime Republic, today Pisa hosts the biggest and well-known architectural complex of the Romanesque Europe: “Piazza dei Miracoli” (Square of Miracles), place where Galileo Galilei, the famous scientist, discovered the “equations for a falling body” doing expertiments from the “Torre Pendente” (Leaning Tower), more than 4 centuries ago. Pisa still has a scientific importance, as it hosts one of the most illustrious University of Italy. For this reason many students from all over the country and the world, come here to attend the classes. Thanks to them Pisa is very lively and culturally interesting throughout the year. You can have delightful walks in its down town between the splendid squares and the noble palaces which follow one another up to the river Arno that pass through the city giving a charming portrait of Pisa. Also the area all around Pisa has a remarkable historical, artistic and landscape interest. There are hills of olive groves, little hamlets as Calci with its fourtheen-century “Certosa” (Charterhouse of Pisa), Vicopisano and Buti, at last but not the least San Giuliano Terme and Uliveto Termeknown health spa. The Pisa coast, which goes from Viareggio to Leghorn, has got an important natural and no-urbanized area which includes the natural parks of Migliarino, Massaciuccoli and San Rossore where you can find lakes, woods and plantations, and the park of the “Secche della Meloria” (Meloria’s shallows) which sea bottoms have noble naturalist interest. The hinterland consists in the Cècina Valley and the Era Valley. Volterra is the jewel of this part of Tuscany. Even if it is little known, this town is extraordinary full of Etruscan and Medieval History and of the Renaissance (it is the place where the novel Twilight occurrs). Enclosed in the walls it is high on the hills that’s why it is called “the city of the wind”. There are many streets to reach Volterra but the best is the one which comes from Pisa, it keeps close to the spectacular ancient Cliff, and maybe it is this particular shape that makes Volterra a unique place out of time. Together with other cities, Volterra was one of the twelve most powerful cities where the important monks lived. The area of the Alta Val d’Era includes: Palaia, Terricciola, Casciana Terme, Crespina, Chianni, Lari and Lajatico, which hosts the “Teatro del Silenzio” (Theatre of Silence), where every year in July the famous singer Bocelli holds a majestic concert attracting spectators from all over the world. These hills represent the idea of Tuscany known by stangers: country roads, typical tuscan ochre and grey farmhouses, often with the double cypress row. In the hills the old traditions go on. The rural area is being carefully worked, the fruit trees reign in the nature and the olive groves and vine are the result of an intense agricultural activity. The several farms produce olive oil, fruit, wheat but especially high quality wine. 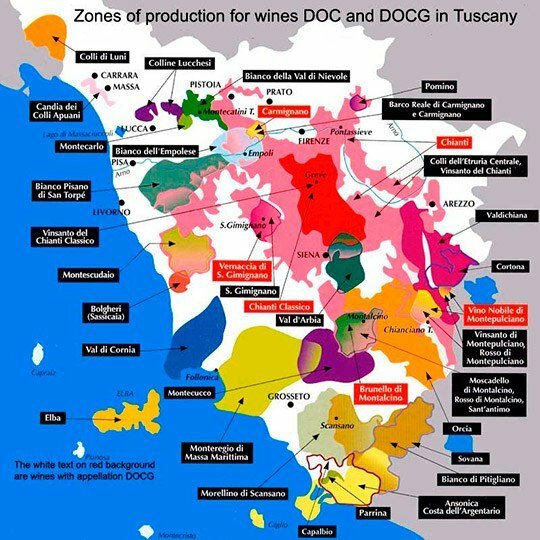 Indeed one of the 14 tuscan wine roads goes through these lands. Many people come here when the farms open their doors to visitors for wine tasting tours in their prestigious and exclusive cellars. Following backwards the river Arno, Pisa province makes way for the Florentine country. The highway runs fast passing through the country and towns as San Miniato, delicious hamlet on a hill along the river, very famous for the exquisite and high-priced white truffle. Florence. Its historical and cultural heritage is huge. Every single glimpse is a miracle and you can feel everywhere the sign that literature and art impressed here forever. In the beautiful “Piazza del Duomo” (Cathedral Square) rises the “Santa Maria del Fiore” Cathedral, well-known for the pink, white and green marble of the facade and for the magnificent “Cupola del Brunelleschi”; near the cathedral there is the “Campanile” of Giotto (the Bell Tower) and the “Battistero di San Giovanni” (Baptistery of St. John); the shining “Piazza della Signoria”, which was the centre of the Florentine politic, surrounded by marvellous buildings and monuments, as “Palazzo Vecchio” (the town hall), and the amazing “Galleria degli Uffizi” (Uffizi Gallery) which hosts an incomparable masterpiece collection. All along the river you can see “Ponte Vecchio” (the old bridge), one of the most striking corner of the city. Some of the many churches that Florence has are the “Basilica di Santa Croce”, the “Santa Trinità”, the “Chiesa di Ognissanti” and “Santa Maria Novella”. These architectural monuments make the city a remarkable open air museum thanks to their beauty of the outer side and their richness hiden in the interiors. 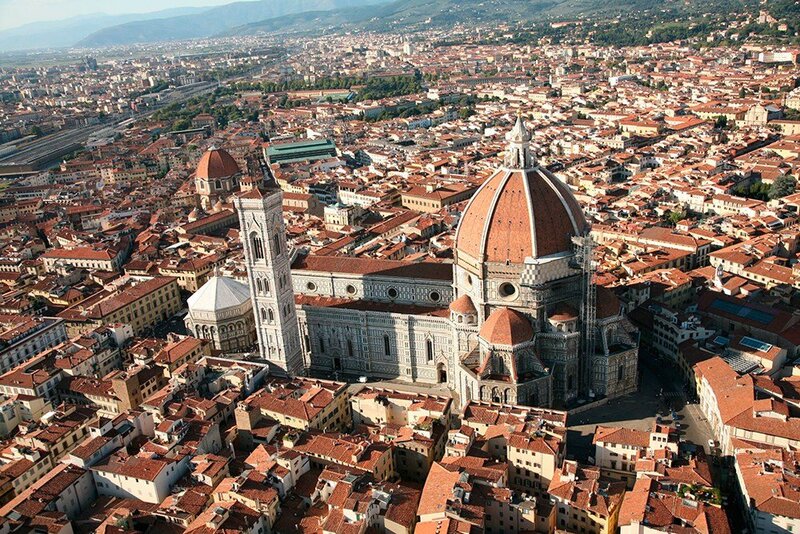 Florence: “Culla del Rinascimento” (cradle of the Renaissance), the city of Dante and of his “Divina Commedia”. In the past, it was the city of the Medici family and a must for the famous all-time great artists, today is a great cultural centre with innumerable events, theatres and fashion shows. The Florentine down town presents a big pedestrian zone. A childhood dream for the shopping and artisan ice-cream lovers. 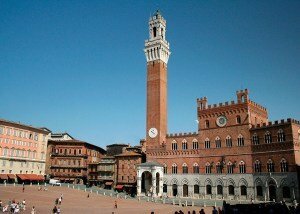 In the Tuscan hinterland you find Siena region, land of the pleasure couple: wine and thermal baths. Siena welcomes visitors by its charming “Piazza del Campo” (the public square), unique because shaped as a shell and globally known for its architectural beauty, place where the “Palazzo Pubblico” (the town hall), with its famous tower, overlooks, and where tourists can rest in cafès and restaurants and buy typical souvernirs in the several boutiques. Near the square there is the “Duomo di Siena” (the Cathedral), built in two stages and combining elements of French Gothic, Tuscan Romanesque architecture, and Classical architecture, the west façade is a beautiful example of Sienanise workmanship, it is one of the most significant of the Romanesque art. The area all around Siena city is full of valleys and woods; rows of precious vines and ancient olive groves hills gush over the wine and food tradition, current more than ever. 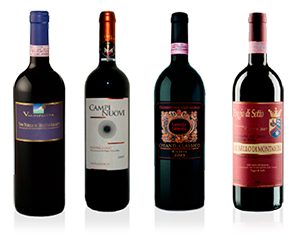 On the North, between Florence and Arezzo province extend the Chianti hills, production zone of the Red Wine DOCG (San Giovese 70-100% and low percentage of Cabernet Franc and Cabernet Sauvignon) peculiar for the Tuscan wine making way. 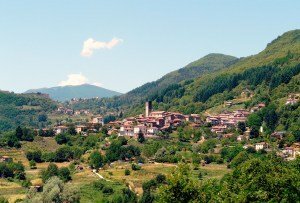 Down in the Southern area you find four valleys: the VAL D’ELSA, crossing point for the VIA FRANCIGENA, road that the merchants used to reach the north, and where met and crossed the pilgrims direct to Rome, when after the fall of the Roman Empire, no other roads were walkable. Here there is San Gimignano, known as the “town of fine towers”, today is famous also for the White Wine “Vernaccia” and the saffron. And the village of Monteriggioni, well-recognized for the particular walls mentioned also in the “Divina Commedia”; the VAL DI MERSE comunicates to visitors through the woods, water flows, and several naturalist paths of the villages and castles. Also this valley is renowned for its nature and for the Abbey of San Galgano with its world-famous vinosword in the stone which makes this place a religious destination on the pilgrims walk; near, the VAL D’ORCIA offers several different landscapes such us rural areas and hills with cypress. The well-known centre is doubtless Pienza together with San Quirico D’Orcia, Bagno Vignoni, location of roman spa, and Montalcino, house of the red wine DOCG “Vino Brunello di Montalcino”, the most long-lived together with the “Barolo” from Piedmont, and house of the hot spring which has been dispensing benefits for millenniums. Montepulciano is located between the Val D’Orcia and the Val di Chiana, where the wine “Nobile di Montepulciano” comes from. This wine is produced only on the hills. Finally the VAL DI CHIANA, land of the “chianina” meat which is cooked as “bistecca fiorentina” in Florence. In the southern part you can find the Monte Amiata 1738 meters above see level, production area of the wine of “Montecucco”. The Etruscan coast is a huge part of the Tuscan coast. 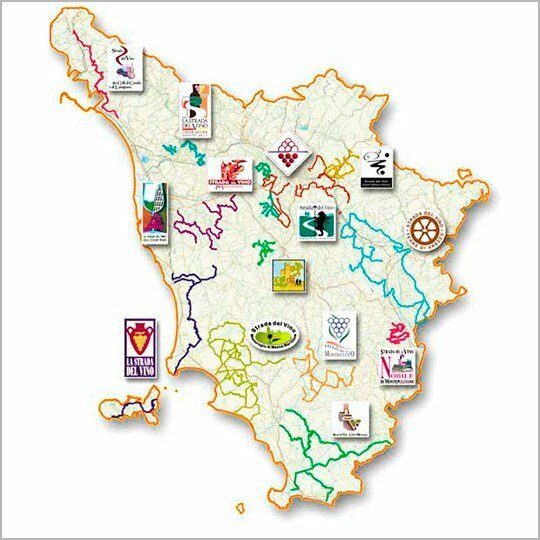 It extends from Leghorn to Piombino and includes four towns: Collesalvetti, Sassetta, Suvereto and Campiglia Marittima. 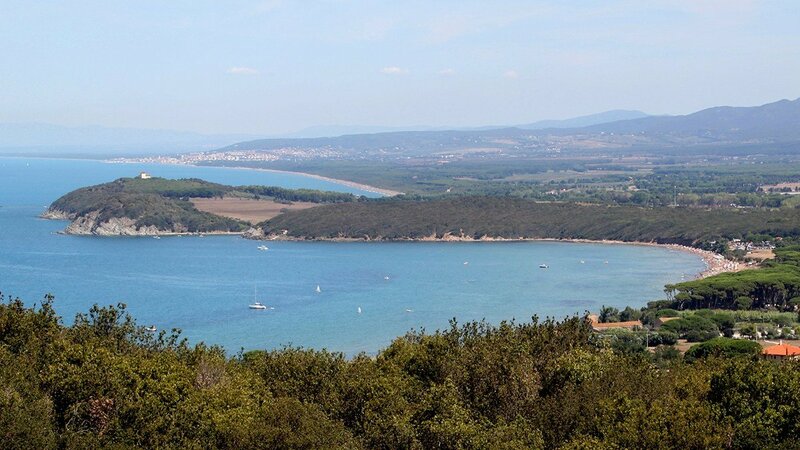 The name refers to the people who lived here from the IX secolo b.C., as many evidences show in the Archeological Park of Baratti and in Populonia village where is the most important Etruscan hamlet, the only one that has kept its original look. In the nothern part there is Bolgheri. Many tourists do like the row of cypress that leads to the winery production which made famous this land. The Etruscan Coast included also the archeological areas of: parks of Val di Cornia and the parks of Rimigliano and Sterpaia. Since few years, in June, the main centres of the coast celebrate the summer beginning with a special “Blue Night” with parties, concerts, cultural and wine and food events. This zone is a charming summer destination because of its hills, the beauty of the sea and the ancient hamlets. A prestigious, exclusive Tuscan corner of beaches, coves and villages frequented by the Italian and foreign jet set: Monte Argentario. Thanks to several paths and little roads it is possible to reach the unique coves where you can find roman evidences, wonderful cliffs and isolated corners for those who wish to have a relaxing time in high season. But also beach resorts offering every services and comforts like in the “Tombolo della Feniglia” (Feniglia sand beach). 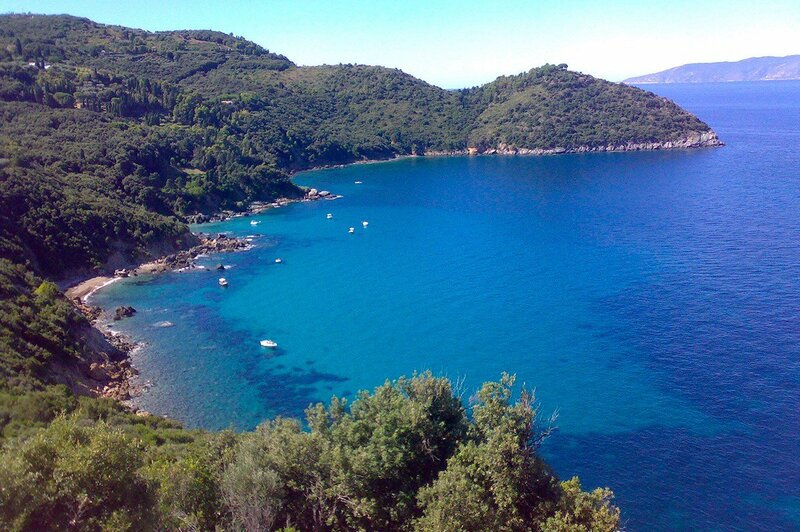 On the Monte Argentario there are two tourist and fashionable villages: Porto Santo Stefano and Porto Ercole. In the past the economy was based on fishing but today tourism is the most important both for the moderate climate and for its geographical position which makes easy to reach the islands of the archipelago: Giglio, Giannutri, Montecristo, etc.. A Mediterranean scrub defines indented beaches that in the calm of the summer days presents a wonderful sea. Also the hinterlands of the island are remarkable places for the trekking lovers. 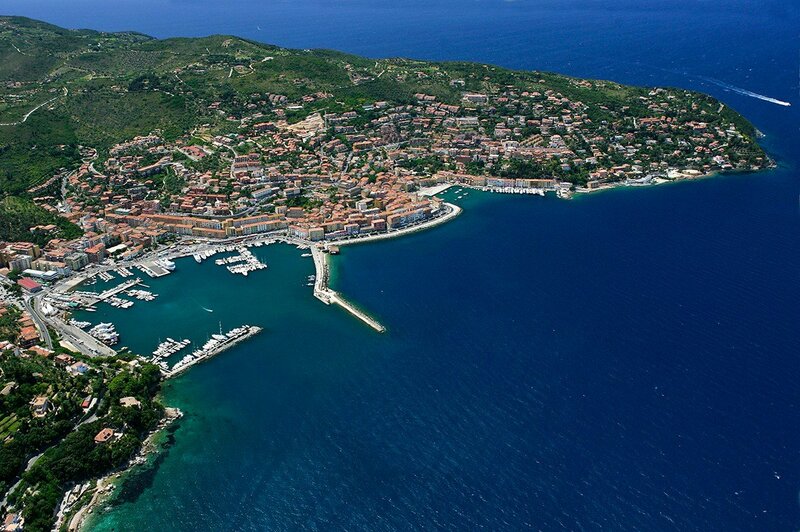 Many luxurious yachts come together to Porto S. Stefano and Porto Ercole shuttling in docks of hiden villas and coves reachables only from the sea. The Spanish Fortress dominates the promenade and the centre of Porto Santo Stefano. In the past it was a military building but today it has been renovated and hosts the “Museo dei Maestri d’ascia” and the exhibit “Memorie sommerse” which includes the archeological evidence of the sea bottom of the Monte Argentario. Often the Fortress hosts private events in the interest of luxury and exclusivity.